Karina's Kreations: Precious Butterflies Beauty!!!! Isn't this card pretty? 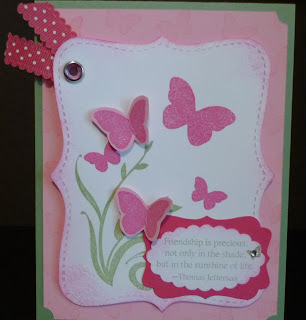 I used the Precious Butterflies Hostess stamp set again. This time I popped up some of the butterflies to give some dimension to the card.